How can I get my mini twist ends to stay together since im still transitioning and the ends still have perm on them. 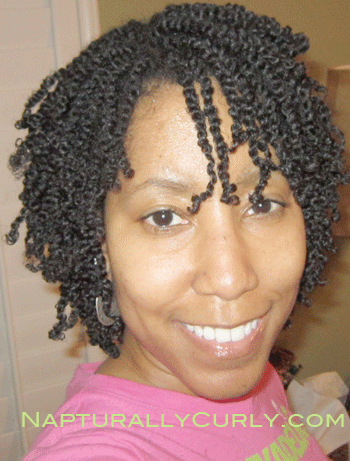 Add perm rods to the ends. Thanks Lisa and I’m so glad to have this website..it really helps out a lot. Thank you. I don’t know what I typed in the search but I’m glad to have found your page. I dreaded cutting my hair. I’m loving the transition…so Muchas gracias sister. I’m a group fitness trainer and I don’t want anything holding me back or my future clients. Much love and hugs.